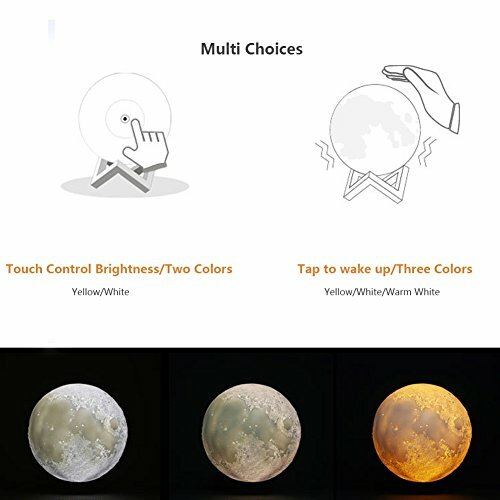 ❤ What's in the box - 1 Night Light (Touch Control Brightness/Two Colors), 1 Stand, 1 USB Cable, Charging Time: 4 hours, Working Time: 4-12 hours. 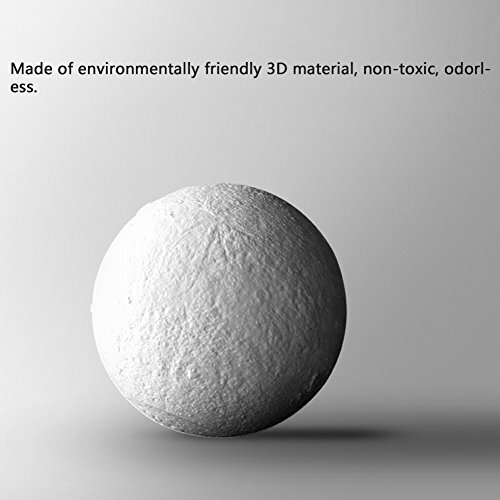 ❤ Always provides high quality Products - Made of environmentally friendly PVC and 3D material, non-toxic, odorless. 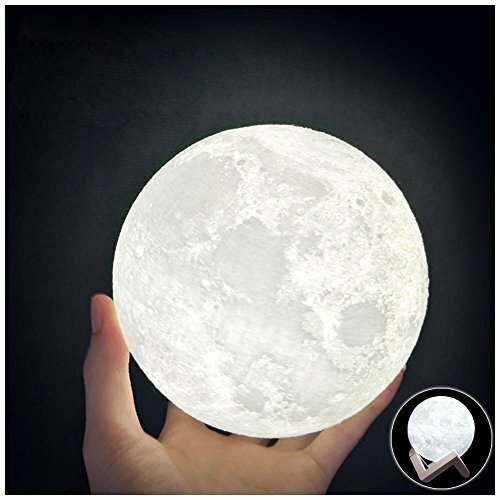 Who said the moon is too far away from us! 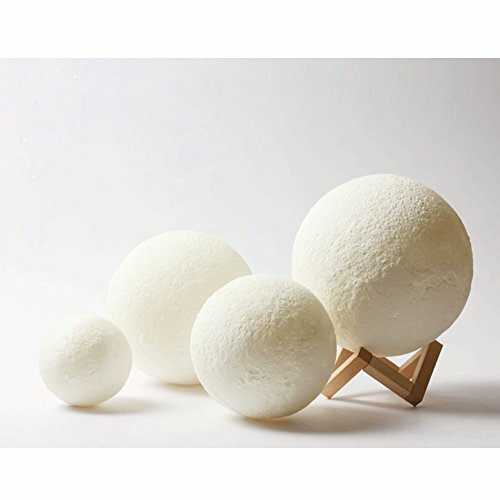 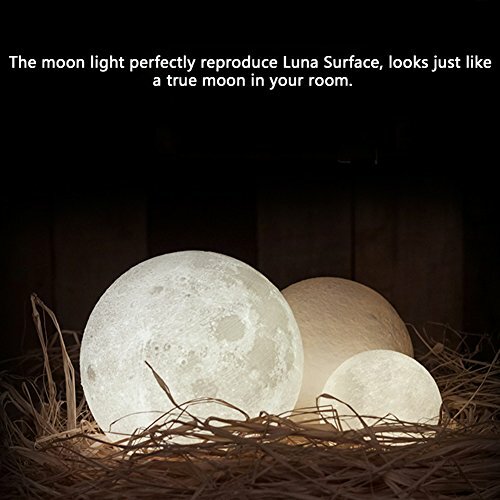 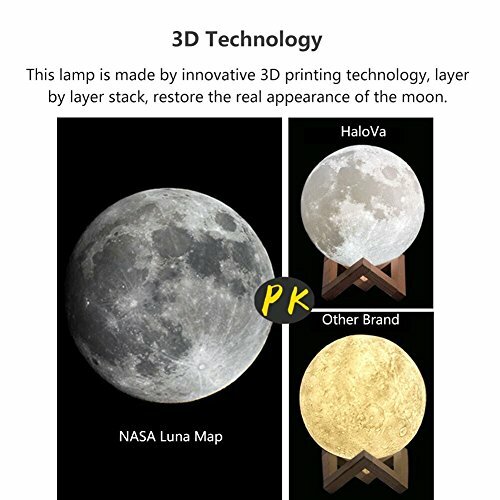 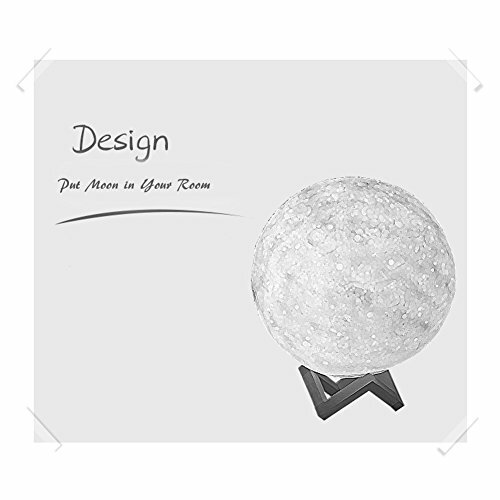 Now you can use this 3D Moon Night Light in your bedroom. 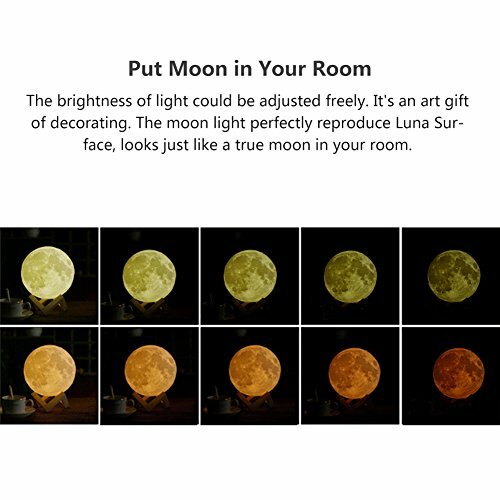 It comes with two brightness setting that won’t strain your eyes in the dark and it features an accurate design of the moor surface.